This product also contains 10% EMU Oil. Emu oil lubricates the skin, making it less likely to settle into lines. This conditioning effect helps women prevent wrinkles. It can also make the appearance of wrinkles less obvious if they have already settled. Especially if the wrinkles where caused by dry skin. Lips often become chapped during the winter. The cold weather seems to dry them out worse then the hottest beach. Emu oil can help your lips retain their natural moisture, while adding some conditioning too. 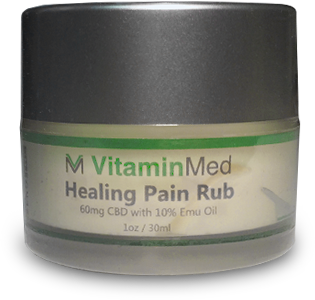 Those who suffer from Eczema notice a decrease in their condition after the application of emu oil. This effect is also a result of emu oil’s ability to condition and add moisture. INGREDIENTS: Purified Water, Emu Oil, Aloe Barbadensis Leaf Extract, Squalane, Glycerin, Stearic Acid, Cetyl Alcohol, Stearyl Alcohol, Etheylene Glycol Distearate, Menthol, Cetyl Phosphate, Arnica Montana Flower Extract, Boswellia Serrata Extract, Allantoin, Propylene Glycol, Methyl Paraben, Propyl Paraben, Diazodinyl Urea, Disodium EDTA, Tocopheryl Acetate (Vitamin E).